For the past two years, Lauren Cherkin held the title of Suffolk County doubles champion, doing so in back-to-back years with Ariana Malik. The Hills East senior has now made it three county doubles titles in a row as she and Alexis Huber defeated the Westhampton Beach duo of Onalee Batcheller and Brooke Del Prete 6-2, 6-4 in this year’s final. 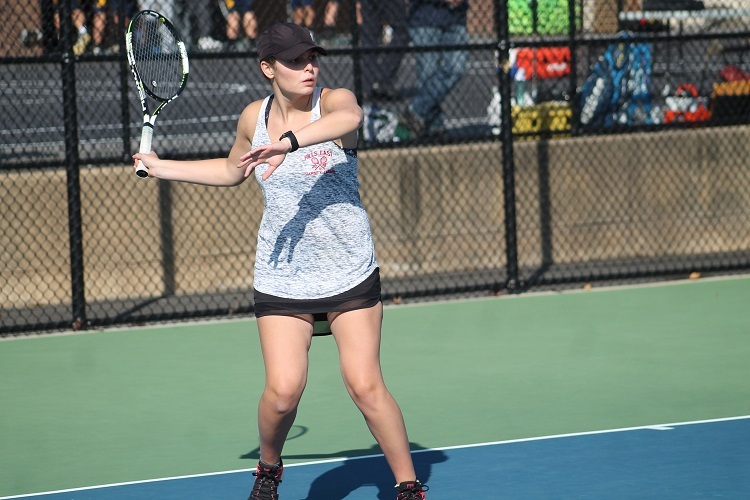 Huber was no stranger to success in doubles as she reached the state tournament two years ago, partnering with Gina LaRusso, but moved to first singles last year to help out her Hills East team. 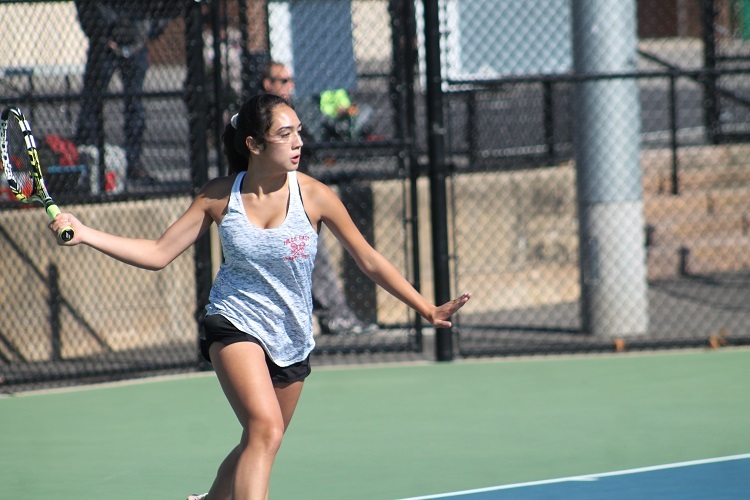 “We have a program of doubles here, where we try to build up the ability where everyone can play doubles with multiple partners,” said Hills East head coach Tom Depelteau. “Alexis went to the states two years ago as a ninth grader, and last year I needed her at singles but we were able to get her qualified for doubles. And Lauren has been our top doubles player for years. 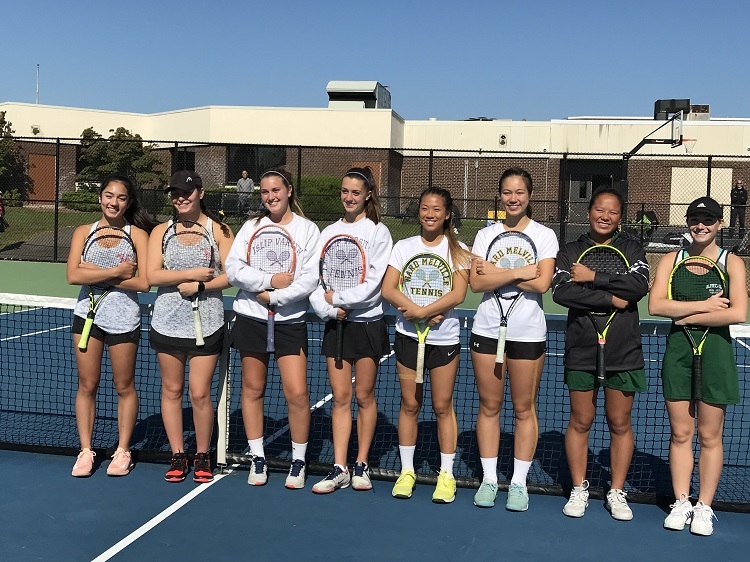 Huber and Cherkin defeated Ward Melville’s Jade Eggleston and Anna Ma in the semifinals before taking out Batcheller and Del Prete in the finals, rolling through their final two matches in straight sets. The pair now prepares for the New York State Public High School Athletic Association (NYSPHSAA) Championships. “I think we’ve already accomplished a lot. We are going to continue to work hard, play hard and just do our best,” said Huber. In addition to Huber and Cherkin, Batcheller and Del Prete will also be representing Suffolk County at the NYSPHSAA Championships along with Eggleston and Ma, who defeated Islip’s Maddie Germano and Darienne Rogers in the third-place match.